As we move from the mild fall weather to colder, darker, and snow-laden months of winter our cocktail choices must evolve as well. 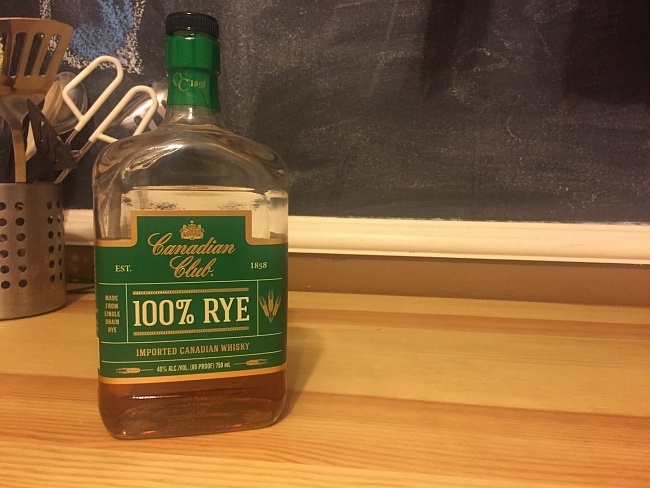 Last June I was introduced to Canadian Club’s new 100% Rye Canadian Whisky and was blown away by it’s all-grain smoothness that and total lack of empty fillers like corn and barley. Even though this Colorado November has been outrageously mild and warm my thoughts have been anxiously drifting to the snow covered days that are hopefully right around the corner, and the complex and flavorful cocktails that comes with that. If you have read my articles for any period of time you know that I am a huge fan of beer cocktails, and Canadian Club 100% Rye with Hard Cider is one of the best. 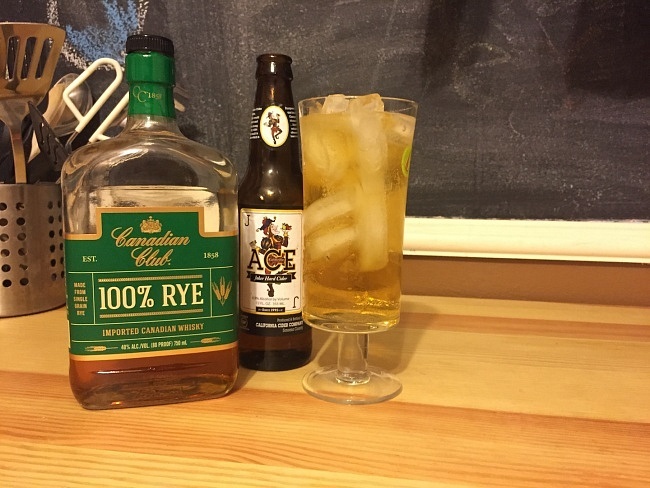 To make my favorite winter beer cocktail I filled a stemmed cider glass with ice and added 1 part Canadian Club 100% Rye and topped with 3 parts hard cider, I decided to use ACE Joker Hard Cider. The resulting cocktail is refreshing yet dark and complex; the Canadian Club 100% Rye base creates a satisfying and strong winter drink with notes of vanilla and oak permeating every sip. The added ACE Joker lends a refreshing dryness that accents the more subtle whisky notes while the Champagne Yeast and effervescence really opens up the palate and creates an unmistakable refreshing yet heavy sipping cocktail. As we we move in to winter and embrace the falling snow and plunging temperatures Canadian Club 100% Rye deserves a spot in the middle of your home bar. It is a versatile and extremely affordable superb Rye whisky that is great on its own for sipping and as the base of your favorite cocktails. Get creative and pair it with your favorite dry cider and you will have a new favorite go to drink.